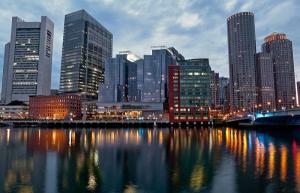 Bay State regulators have finalized their rules for the legal pot industry, red states are in CBD fights, the Israeli decriminalization bill advances, a new move to get rid of the HEA's drug question is set, and more. Massachusetts Legal Pot Regulations Are Set. The state's Cannabis Control Commission voted unanimously Tuesday to finalize the rules that will govern its newly legal industry. Among the highlights: No social consumption or home delivery for now, medical marijuana dispensaries transitioning to adult sales must set aside 35% of their product for the next six months for registered patients, cultivators are capped at 100,000 square feet, and people convicted of trafficking hard drugs are essentially barred from the industry. Wyoming Edibles Bill Advances. The House Judiciary Committee voted Tuesday to approve a bill clarifying state law that possession of marijuana edibles may be charged as a felony. Senate File 0023 was amended to make possession of more than 36 ounces of edibles a felony. The version approved earlier by the Senate set that amount at only three ounces. The bill now heads for the House floor, but will have to go back to the Senate if approved as amended. Idaho Senate Vacates Controversial Vote That Killed CBD Bill. The Senate Health and Welfare Committee on Tuesday vacated Monday's vote killing a CBD cannabis oil bill, House Bill 577. The move to vacate come from committee Chair Lee Heider (R), who admitted that the vote in his office Monday violated the state's open meeting law. But it's not clear if Heider will allow another vote on the bill. Indiana Senate Passes CBD Bill. The Senate voted Tuesday to approve House Bill 1214, which would allow for the legal purchase and sale of CBD cannabis oil. Another CBD bill, Senate Bill 52, has already passed the Senate. The two bills will likely be consolidated and debated again in conference committee. Kentucky Medical Marijuana Bill Gets Law Enforcement Opposition. In a second day of hearings on a medical marijuana bill, House Bill 166, law enforcement stepped up to speak out against the bill. The local prosecutors' association warned allowing medical marijuana would worsen the state's drug problems; the state Narcotics Officers' Association also opposed it, citing a provision that would allow patients to grow up to 12 plants. No vote was taken. New Push to End HEA Drug Provision to Get Underway. At least one Democrat on the Senate Education Committee will move to end the inclusion of a question about prior drug convictions when the Higher Education Act is reauthorized this year. About a thousand students a year lose access to financial aid because of the question, and Sen. Bob Casey (D-PA) says he will reintroduce legislation to kill it this year. Israeli Knesset Gives First Approval to Pot Decriminalization Bill. A bill that would decriminalize the possession of small amounts of marijuana passed unanimously in its first reading in the Knesset Wednesday. Legalization supporter MK Tamar Zandberg (Meretz) said passing the bill marks "another important step on the road to our victory," adding that it is "far from perfect, but it is a foot in the door on the way to a policy of full legalization."